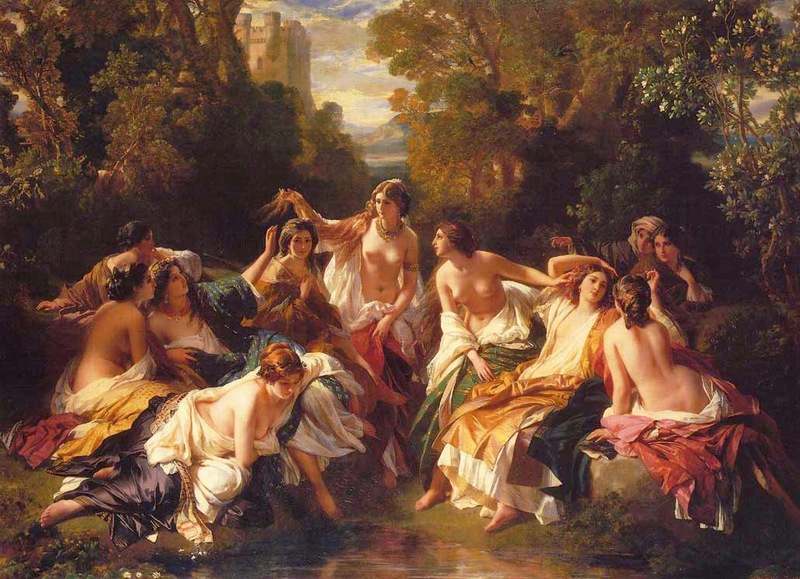 Franz Xaver Winterhalter (20 April 1805 – 8 July 1873) was a German painter and lithographer, known for his portraits of royalty in the mid-nineteenth century. His name has become associated with fashionable court portraiture. Among his best known works are Empress Eugénie Surrounded by her Ladies in Waiting (1855) and the portraits he made of Empress Elisabeth of Austria (1865).